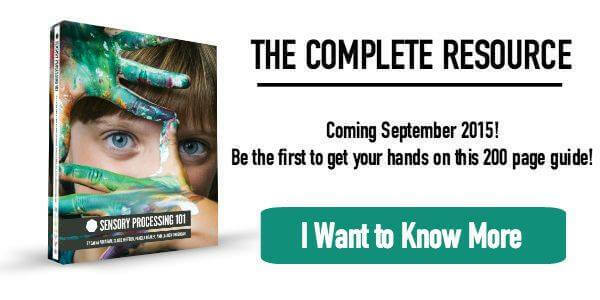 My Book, Sensory Processing 101, is Finally DONE!!! I can hardly believe it as I type those words on the keyboard… my book is finally done! Some of you may or may not have known that I’ve been cooking up a book, but it’s finally done and I had to share my excitement! Sensory Processing 101 has been a labor of love for the past year and a half and I can’t even express how much gratitude and love I have for each of you that have supported the making of this book along the way! I won’t go into too much detail, because you can read more about it in the book, but a little over a year ago I started this blog. I never knew where it would take me and I certainly never thought it would lead to me writing a book! As I began to tell my stories, beginning with my very first post, I realized I mentioned my son’s struggles with sensory processing. I struggled to explain his story, his needs and why he did the things he did (because I was still learning and still continue to learn daily). That’s when I reached out to the team at The Inspired Treehouse, as they had started about the same time as I did. They are a team of pediatric therapists and I just knew we were going to hit it off! I tried to talk them into writing a guest post on my blog about Sensory Processing Disorder, however they were just getting started as well, and wanted to write about that on their own site. We went back to the drawing board and ultimately ended up with something so much more fantastic… a year-long series on Sensory Processing! When the series was over, we were all left wondering what would be next for our trio. It only seemed natural to think … A BOOK! That was almost a year ago! When I tell you that we didn’t take the creation of this book lightly, I mean it! We wanted to create a resource that has never been done before, a resource that could be used by parents, teachers, and therapists. We wanted a book that would become a standard for explaining Sensory Processing for ALL children!! We think we might have just done that, too! For the past year, I have been collaborating with the team from The Inspired Treehouse working tirelessly to create an easy-to-read guide to sensory processing that addresses the topic from the perspectives of a parent and educator and pediatric therapists. 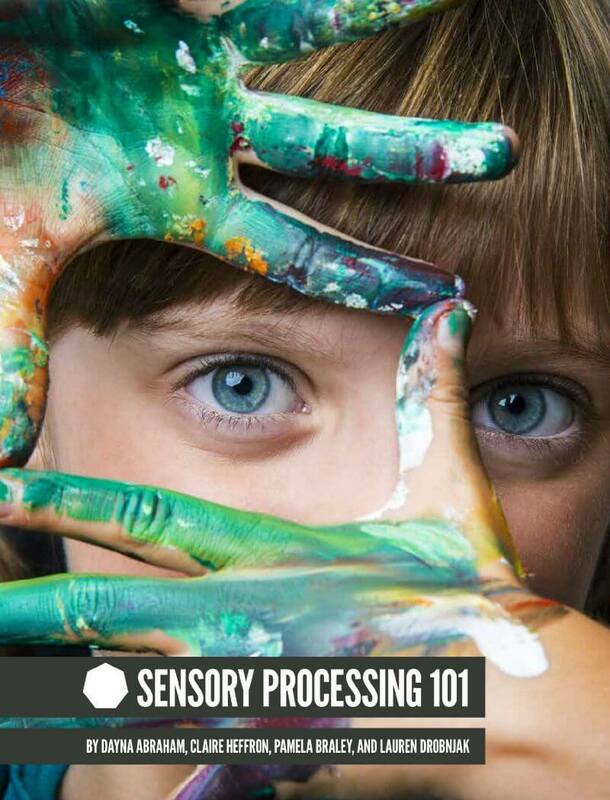 If nothing else, I want the world to know these 5 things about sensory processing! You may have heard of Sensory Processing Disorder, but the truth is that understanding and supporting healthy sensory processing is an important part of promoting health in all children, not only those with diagnosed sensory needs. We are also really excited about the color coded index by behavior, where you can pair any troubling sensory behavior with helpful resources in the book! The book just got back from the printer and will be ready for you September 15th! We can’t wait to show you more! I hope so! We will have a digital download ebook available! Have you signed up for the newsletter? I get updates on FB and by email too, and I have tried many of your sensory suggestions in a Nurture group setting, which have been great to try, and also very effective. I have been compiling my own list of things to do, but I would love to buy your book to support you and your fellow contributors. I have found the book on Amazon UK, but I don’t get the option of the free E bundles as offered in your posts! Amazon in the US doesn’t recognise my log in so I can’t buy it that way! Is there any chance of you sending them to me if I can send you proof that I have bought your book in England? Thanks for your great efforts and congratulations on getting the book published…..yay! Can you send me an email so we can give you options? Thank you so much for your support! I have changed email addresses and am unable to log into my paypal account with my NEW email and old VISA # as the old VISA # (but still current) is linked to the old paypal account. IS there any way I can order your book through visa without having to go through pay pal–it is so frustrating! Soooo looking forward to receiving your book–it sounds great! Even though Paypal pops up.. You do not need a paypal account. You can just use your Credit card. I know it is confusing. So sorry.